One of gaming's worst-kept secrets has been officially unveiled. A rather bleak-looking piece of graffiti in London has been linked to a viral marketing campaign arranged by Capcom to promote Resident Evil 6, and today Capcom confirmed that Resident Evil 6 is coming to PlayStation 3 and Xbox 360 on November 20, 2012. Like most game announcements, this one started with a cheesy viral marketing campaign. 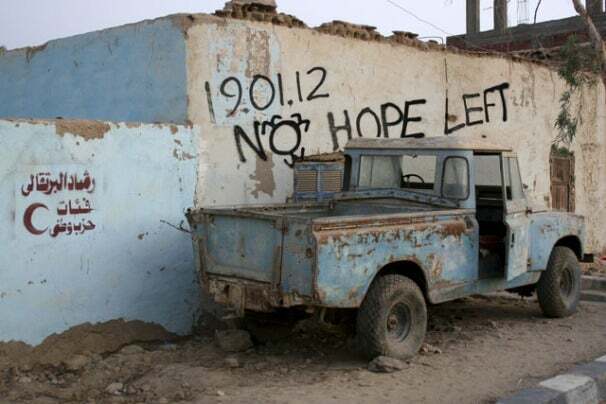 Graffiti featuring the phrase 'No Hope Left' alongside the date January 19th was spotted around the world in locations such as Tokyo, Berlin, China, Serbia, Sao Paulo and Johannesburg. Visitors to NoHopeLeft.com will find a blog hosting many pictures and videos of these strange occurrences, along with suspiciously fearful comments and theories left by other visitors. Excluding the inclusion of an inverted biohazard logo (which may be a nod to the original Japanese name for the series: BioHazard), there were few details to connect NoHopeLeft.com to Capcom and their Resident Evil series of survival horror games. That was, until British gaming site The Sixth Axis conducted some simple investigative research. After recognizing one of the graffiti photographs, a writer at The Sixth Axis journeyed to Vauxhall, London to verify whether or not the graffiti in the image was legitimate. Discovering that the graffiti was in fact a printed advert and that the name of the company who owned the billboard was prominently listed on the advertisement, The Sixth Axis contacted the relevant firm and confirmed that a company called Capcom had paid for the ad. Of course when asked about whether or not NoHopeLeft.com and it's many billboards were part of an ad campaign for Resident Evil a Capcom representative stated 'Capcom doesn't comment on any rumors or speculation', leaving things nicely ambiguous. In case you missed them, Resident Evil rumors began to gain traction after a Resident Evil trailer was supposedly shown at Capcom's closed theater at the Tokyo Game Show in September 2011. At first the trailer was confirmed by Capcom, but then quickly dismissed as a fake. Resident Evil rumors cropped up again last November when voice actor Joe Cappalletti's credit page briefly listed Resident Evil 6 as one of his projects before it quickly vanished from the site. 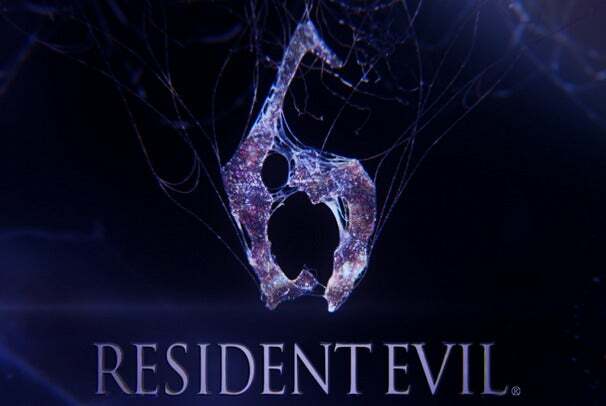 Of course, all those rumors were validated today when Capcom released a trailer for Resident Evil 6 featuring series regulars Leon S. Kennedy and Chris Redfield, as well as brand-new characters and locations. While the new Resident Evil game doesn't appear dramatically different from the last two, anyone hungry for more zombie-blasting action should be salivating at the opportunity to rejoin the Raccoon City survivors and battle the latest outbreak of bioterrorism. Check out the official reveal below, and let us know what you think!